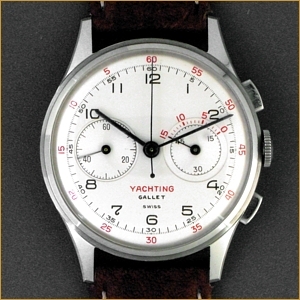 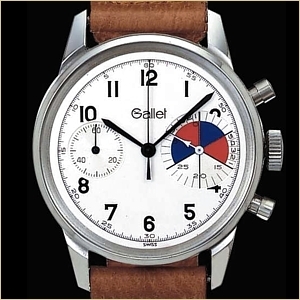 The MultiChron Yachting, introduced by Gallet in 1945, is the world's first wrist chronograph with 45 minute recording and 15-10-5 regatta count down timer for yacht racing. 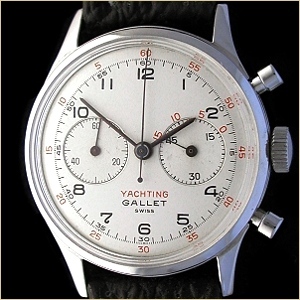 Besides it use on the water, the MultiChron Yachting functions as an all-purpose 45 minute chronograph. 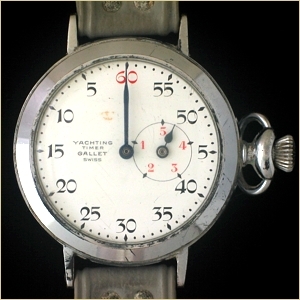 Model name: MultiChron Yachting "waterproof"